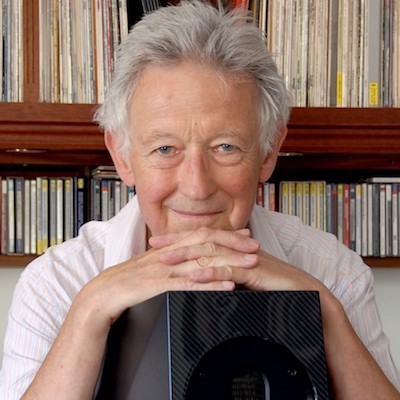 Principal of The Right Note, Jeremy Baldwin, built his first music ‘system’ at age 15 by modifying an HMV clockwork gramophone from 78s to play LPs with a Meccano pickup arm, connected to the family radio! Hifi it was NOT! Alongside model aeroplanes he built valve amplifiers and some monster sand-filled loudspeaker cabinets to a Wharfedale design. Ten years later these travelled in the bomb bay of a Vulcan (don’t ask!) to his posting with the MoD in Cyprus. He learnt the violin from age 7 and played in several youth orchestras. “Playing an instrument and hearing others in an orchestra has given me a valuable reference point for the sound of real instruments. “We find that customers’ hifi systems develop over the years as money is available. But a collection of components is like a football team: individuals must be complementary and the items must work together. It’s rarely a saving to buy well-reviewed components just because they are ‘bargains’ . “In the excitement at the price it’s easy to forget that better components will probably reveal more information and show up weaknesses elsewhere. It’s possible to spend more and enjoy the system less because it has become unbalanced – with idiosyncrasies that start small but become major irritations. Are there music pieces you avoid because they don’t sound nice? You’ll find explanations under the top level Equipment and each sub-section (Digital, Amps etc) that may give you a better understanding of our approach to creating enjoyable music in the home.